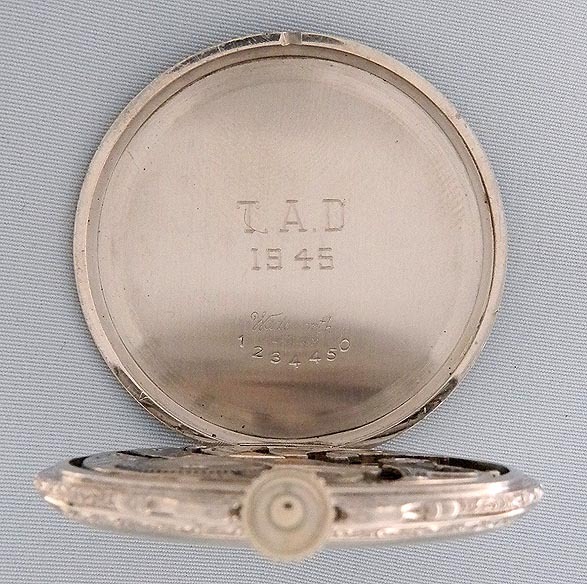 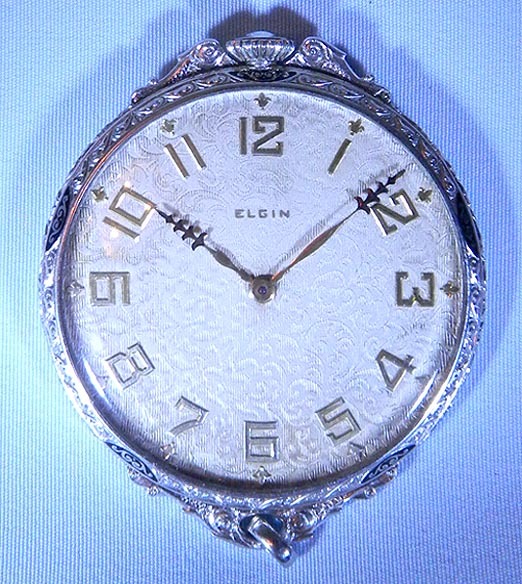 Fine platinum Elgin Art Deco thin dress antique pocket watch with original case circa 1925. 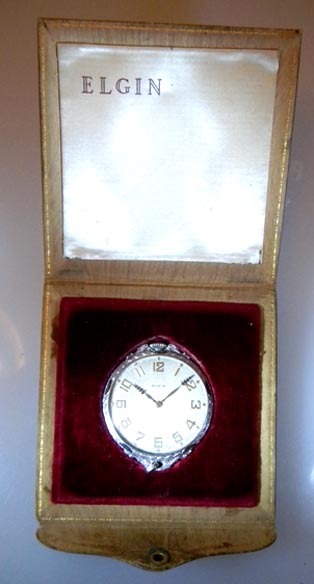 Textured and patterned silver dial with applied gold numerals and fancy gold hands. 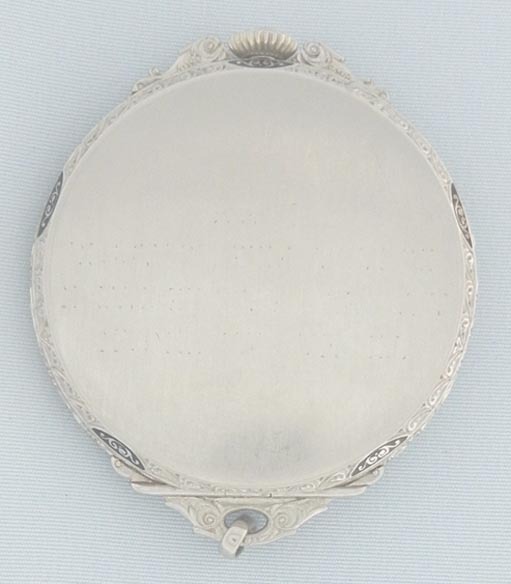 Plain polish case with fancy cast bezels. 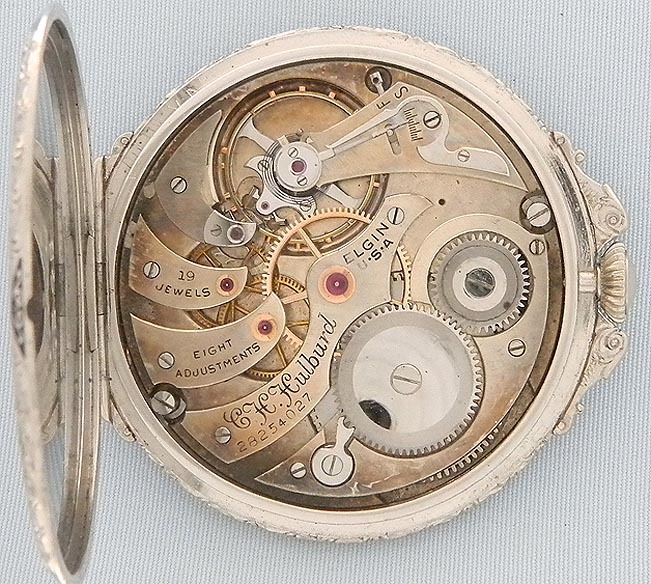 Very fine Hulburd grade 19 jewel 8 adjustment movement with precision regulator.